I’ve got this vision… I want to become one of the biggest luxury brands to come out of Africa. Even if we’re making money… it frustrates me… I’m not the kind of guy that sits in the boardroom for very long… I’m a maker! Inga Gubeka, born in the Eastern Cape and raised in Durban, always imagined himself in advertising or design. 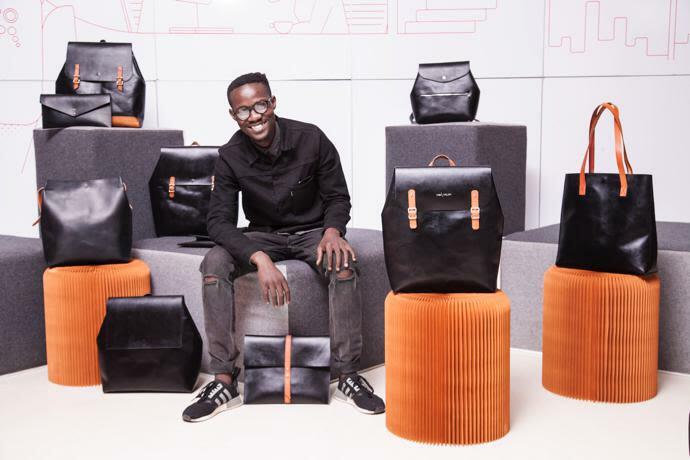 He studied interior design at the then Durban University of Technology, and started Indalo Décor, his first entrepreneurial venture, in 2013 in Cape Town. He used wood to make all kinds of unique products such as clutches, bags and backpacks. In 2015 Glenfiddich named a premium single malt whisky – worth R80 000 - after Gubeka, who designed the bottle. Gubeka left Indalo Décor, after differences in opinion he had with his partners with regards to the future direction of the company. He then re-entered the market with his new “lifestyle brand” Inga Atelier, which makes wooden and leather bags. Gubeka is, according to Forbes, one of Africa’s most promising young entrepreneurs. Refilwe Moloto (in for Bruce Whitfield on The Money Show) interviewed Gubeka for the weekly “ShapeShifter” feature. We’re going for the malls where all the luxury brands are. We look at having about 20 employees by the end of the year. We’re looking at opening at the Waterfront [in Cape Town]. There’s a big difference between quality foot traffic and quantity foot traffic.